A. 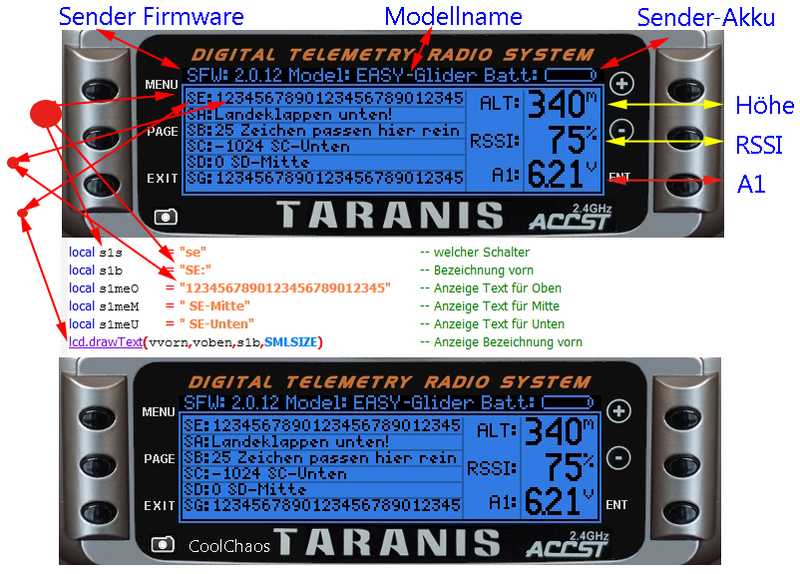 Flight Mode, UAV battery voltage, TX battery voltage, timer1 info (mine counts from first thrust). B. Ground speed in Km/h. This Telemetry Script measures the time Open TX takes to run through one cycle of its software. 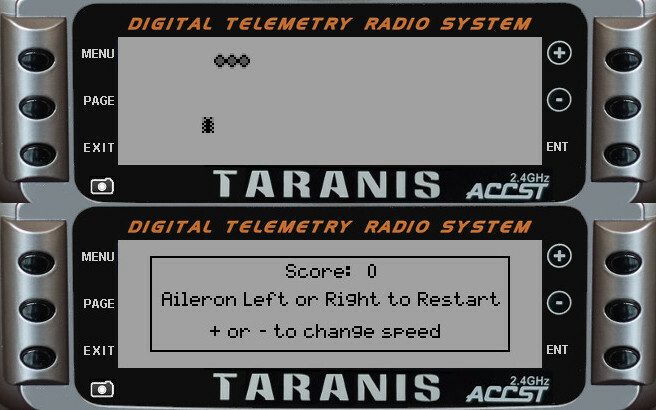 You will note that running the script in Companion gives a different result than running the script in Taranis because the software is running in a processor with a different operating speed. This Mix script, called secursw.lua, creates an unKnockable safety like the one described by MattyB, a two position switch from a three position switch to be used where you want a control which cannot be inadvertantly activated by a bump. It is a simple but interesting introduction to Lua script programming. This Snake game script replaces the previous Snake game submission, only to change the graphics from ASCII art graphics to bmp graphics. The gameplay continues to be the same. Use the Right stick up and down to command the snake to move up or down. Use the Left stick left or right to command the snake to move left or right. Use the Right stick to restart the game once .. This script calculates models ascend/descend rate in m/min.